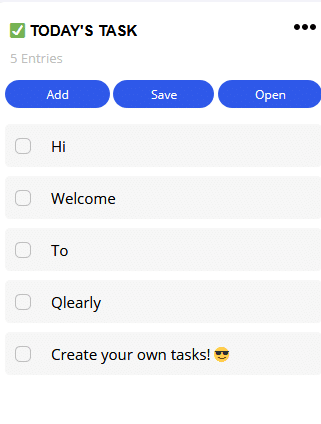 Qlearly is a bookmark and tab add-on that makes it simple to organize various bookmarks and manage tabs. 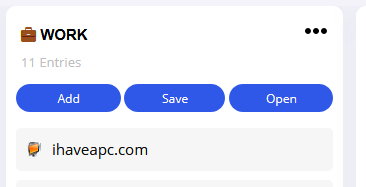 Once downloaded from add-ons page, install it. Qlearly icon will show up next to the address bar. Qlearly uses boards to store columns and these columns store bookmarks. 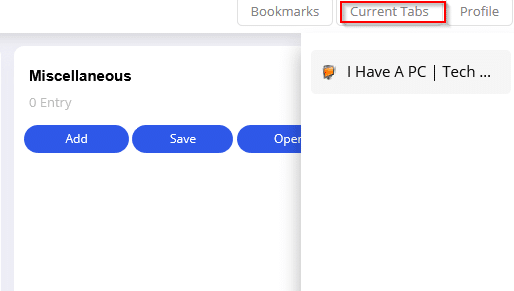 Clicking on the add-on icon opens a drop-down menu which shows the number of bookmarks and also the option of adding current tabs to bookmarks. Choose Open Qlearly to get the full interface. The first run will provide a brief tour on how to go about using it. The interface consists of a primary board which contains different columns. These columns have different cards. All these elements can be customized. 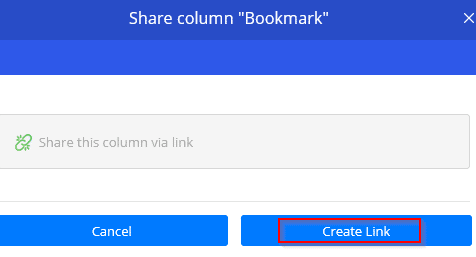 A new column can be added by clicking the + sign. 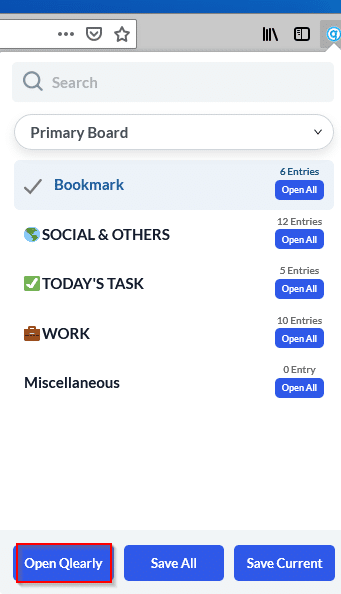 Click on the home icon in Qlearly to go to the primary board menu. 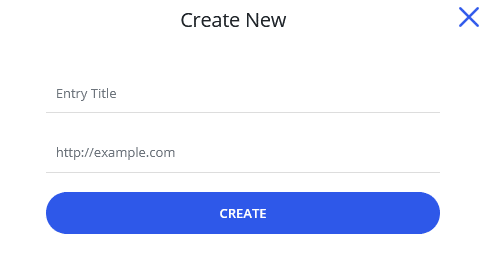 Over here, you can create another board by clicking on + sign similar to that when creating new columns. 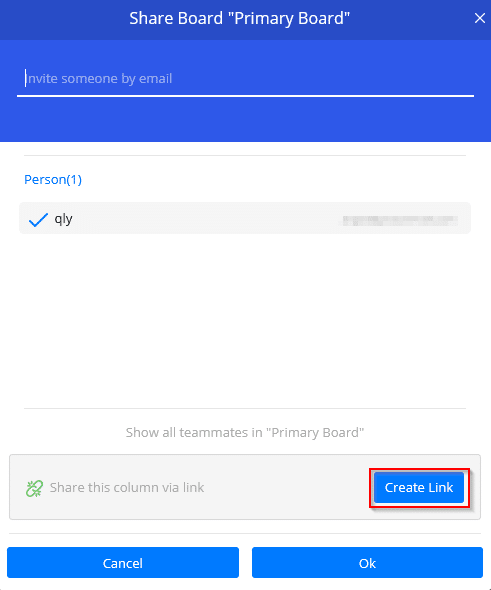 Also, if you have a Qlearly account (signing up is free), then you can share different boards with others. You can also change the interface theme color and change the settings for auto saving tabs when closed. This is through Profile settings. For each of the boards, the columns and the cards in them can be edited, dragged around and deleted. To add a new bookmark, choose the required column and click Add. Then enter the website link and a description. Also, clicking on Current Tabs will display a list of all the open tabs. Each of these tabs can be dragged and dropped to different columns to bookmark them. You can also have different bookmark columns based on your browsing interests. This makes it easy to categorize bookmarks and access them. 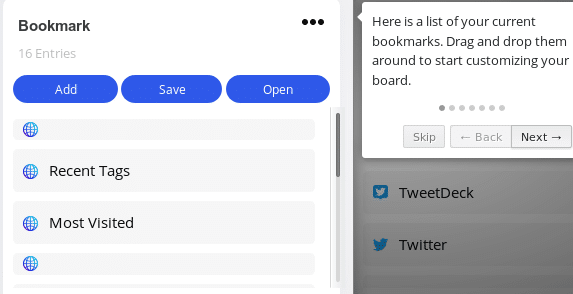 You can also open all the existing bookmarks in tabs all in one go. This is useful if you are researching something and need to open related websites that are bookmarked in a specific column category. 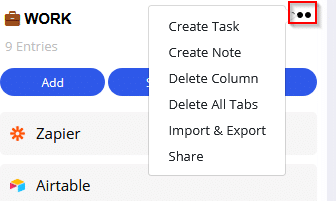 There is also a task column where you can note down tasks to be completed. Also, clicking on the dots at the right of each column allows you to quickly create a task list, or a new note. You can also delete all the existing bookmarks present in the column or the column itself. 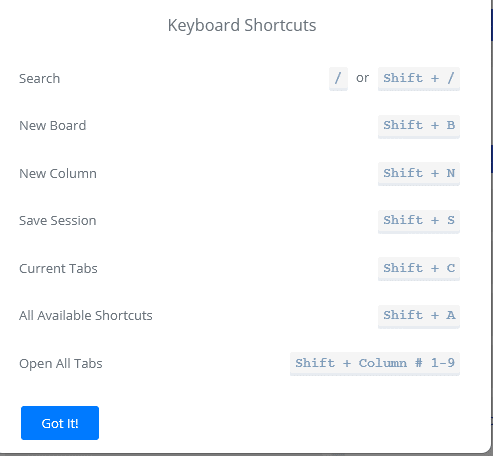 There are different keyboard shortcuts for using Qlearly. Shift + A brings up the shortcut list to do so. The column along with its items can also be imported/exported and shared from here. Import & Export URLs feature allows bulks URLs to be imported and exported as bookmarks. You can also share the boards. Also a shareable link can be generated for boards and columns if needed. 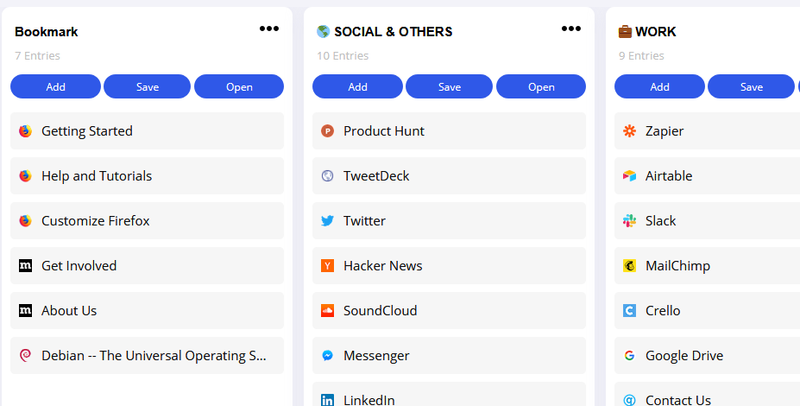 To sum it up, Qlearly is an easy to use bookmark manager that can make your browsing more organized.